If you have just had mastectomy and summer is round the corner, there is no need to despair. You can continue being the water baby you have always been before being diagnosed with breast cancer. It is undoubtedly tough for a woman who has had a mastectomy to answer her kids why she does not want to step into a swimming pool with them or join them on the beach. She cannot explain to them her fears and apprehensions. However, all these uncertainties are unfounded. She can make it easy for herself and for them if she scouts around a bit and discovers the scores of available post-mastectomy swimwear which have been designed keeping her comfort in mind. More and more manufacturers are becoming aware of the specific clothing needs of a breast cancer patient/survivor and swim apparel is one of them. Swimsuits for mastectomy patients are among the top post surgery requirements because if you have had a mastectomy and wear a breast form, you may not be comfortable stepping into a pool or the sea in a normal swimwear. There is a chance that the breast prosthesis slips out during a swim and when you emerge from the water, you find it missing. Not only is it difficult to replace one in terms of cost and size, it is also embarrassing for you! You will find mastectomy clothing brands that not only give you post-mastectomy swimsuits in good, natural fit but also in vibrant colors and latest designs. These mastectomy products provide support in the right places and allow you to step into the water with renewed self-confidence. The designs of mastectomy swimwear are latest and figure-flattering and make you feel so full of life! And the fabric used is suitable for all kinds of water activity. The Anita Maternity Rongui 9571 One-Piece Maternity Swimsuit is a classic swimsuit that is designed to flatter pregnant women. If you are looking for something with underwire, then Anita Comfort Hermine mastectomy bikini top will be suitable with underwire integrated into the bust lining. Browsing through swimwear stores, one is bound to come across swim breast forms which have been designed for post-mastectomy. These are made of lightweight silicone and allow water to drain away quickly. 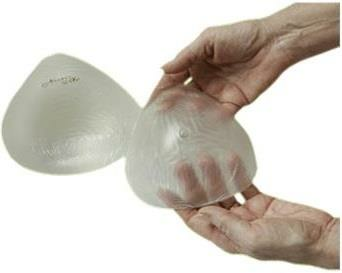 These special breast prostheses for after mastectomy are designed to fit into swimsuit cups or bras with a defined cup. 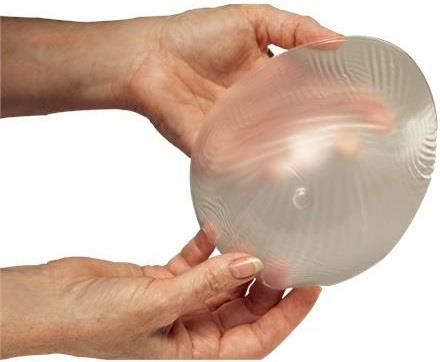 The Nearly Me 360 triangle swim breast form is made of clear, standard weight silicone and recommended following surgeries where more tissue on the front of the chest wall needs to be replaced. 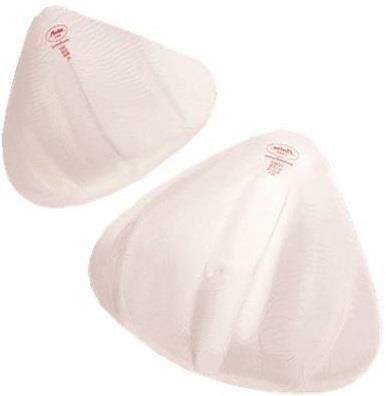 The 320 Freestyle Athletic oval swim breast form from Nearly Me is another example of a form safe in a pool or salt water, hot tubs and spas and its modified oval shape gives the right shape under a woman’s bathing suit or a sports/activity bra. The Anita Care Active Ocean light swim breast form has a grooved inside panel for fast drying while the Trulife Tropez swim breast form is made of firm silicone that helps keep balance and prevent shifting. Its concave back maintains its shape in and out of the water and so it is ideal for all water activities. So there… now you can splash around without feeling insecure!